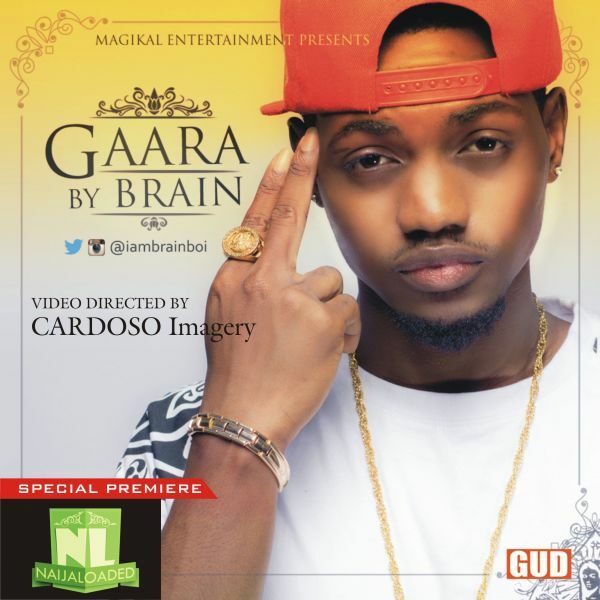 Fast rising Nigerian hip-hop act, BRAIN recently dropped a club banger, “GAARA”, a single off his forth-coming EP, “The Statement”. Here is the visual of the song. The video with crispy pictures was shot and directed by CARDOSO Imagery. Gaara, a fusion of Dancehall, Afro-pop and Reggaeton was produced by Skill P and mixed and mastered by Seanz Beatz. It will worth mentioning that the highly gifted rapper had a great 2014, having bagged 2 nominations from 2 top rated music awards: Nigerian Entertainment Awards (NEA) – Most promising Artiste To Watch and Nigerian Music Video Awards (NMVA) – Mainstream Hip Hop Video. Roughly about a month after the release of his highly conscious single ‘Letter To The World‘, the very talented but yet-to-be-signed music sensation – Young Airmie, dishes out the visuals to further give his message more mileage in the hearts and minds of anyone who feels the need for a positive change in the world. Letter To The World (video) also aims at addressing challenges the present state of Corruption, Terrorism, and the forth-coming presidential election pose to our young democracy here in Nigeria (#VoteNotFight). Young Airmie says, “If positive change must come then it has to start with you and I because with one less evil in the world, the world will definitely become a better place for you and I to live in”. 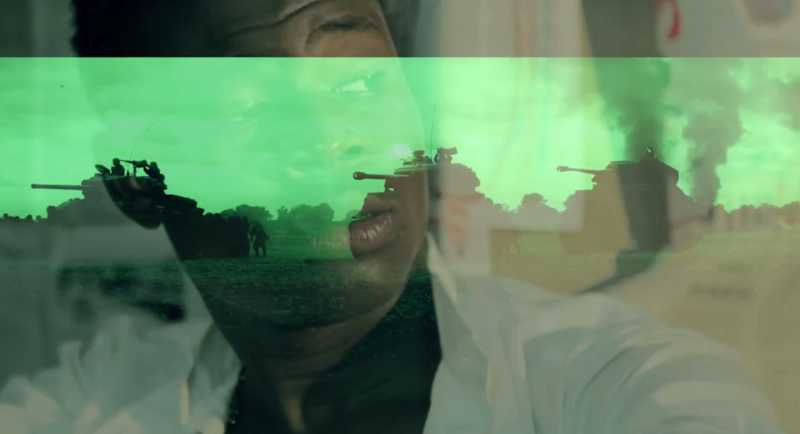 ‘Letter To The World‘ video was shot by Ben Jossy for African Color City. 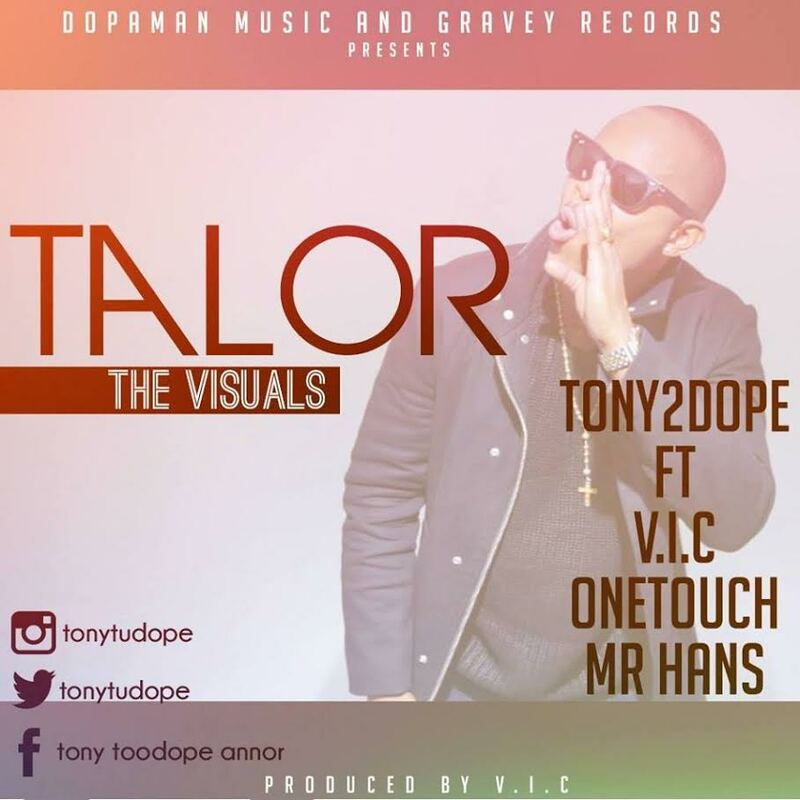 Tony2Dope‘s last music release was “Chale” featuring Rayce but now the Malaysian based Nigerian artiste teams up with V.I.C, One-Touch and Mr Hans for his new single “Talor” which arrives with a music video. Born afolabi kolade kuam, Kuammy is from kwara,he was born in the city of lagos into a family of four,his mentors. Wande Coal,christ brown, 9ice nd wizkid, Handsome and sweet,kuammy sells swag and the ladies can’t get enough of him. 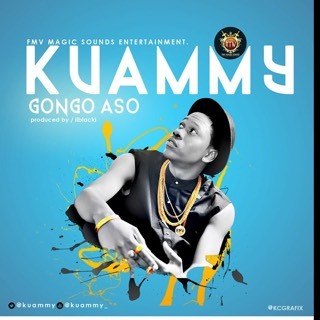 Singer,Song writer Kuammy is a wad of talent. 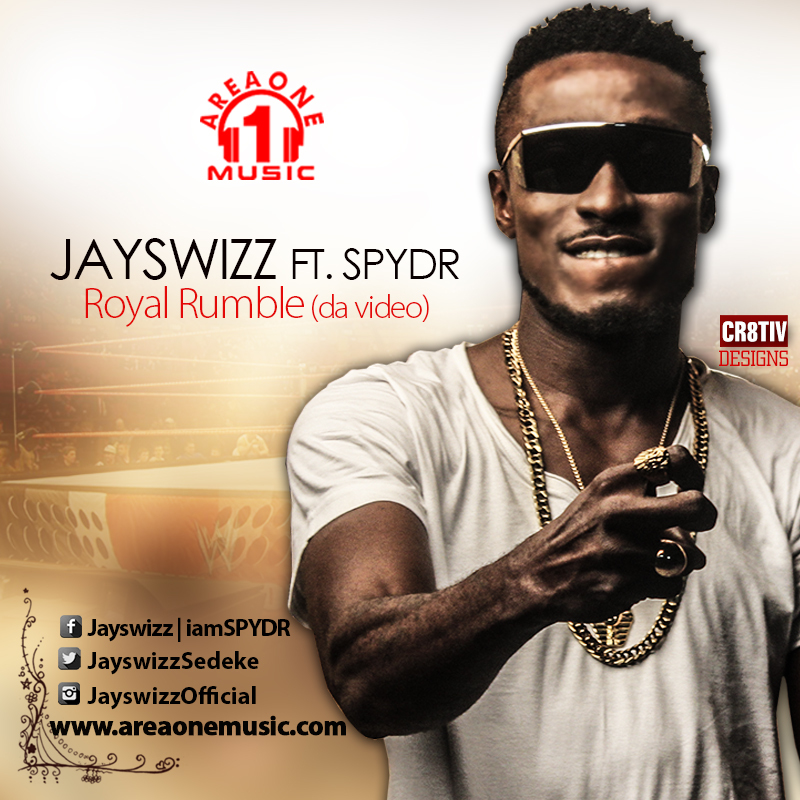 Sedeke Ben Atte also known as “JAYSWIZZ” is a Nigerian Singer/songwriter from Oron, Akwa Ibom State. He was born in Cross River State to Pastor & Deaconess Ben Atte. Jayswizz got interested in music at the age of eleven (11) while singing in the church children choir. His musical influences include TuFace Idibia, American R&B/Pop singer Akon and the legendary founder of Afrobeat, the Late Fela Anikulapo Kuti. He also listens to a lot of Rap music, Hip-Hop and R&B. Asides being a singer, he also plays the keyboard. He is currently signed to Area One Music. Mc Galaxy is back and this time he has collaborated with two of the biggest names in the industry, Shizzi and Uhuru bringing you a freestyle club banger which will surely get you on your feet the minute you hear it. 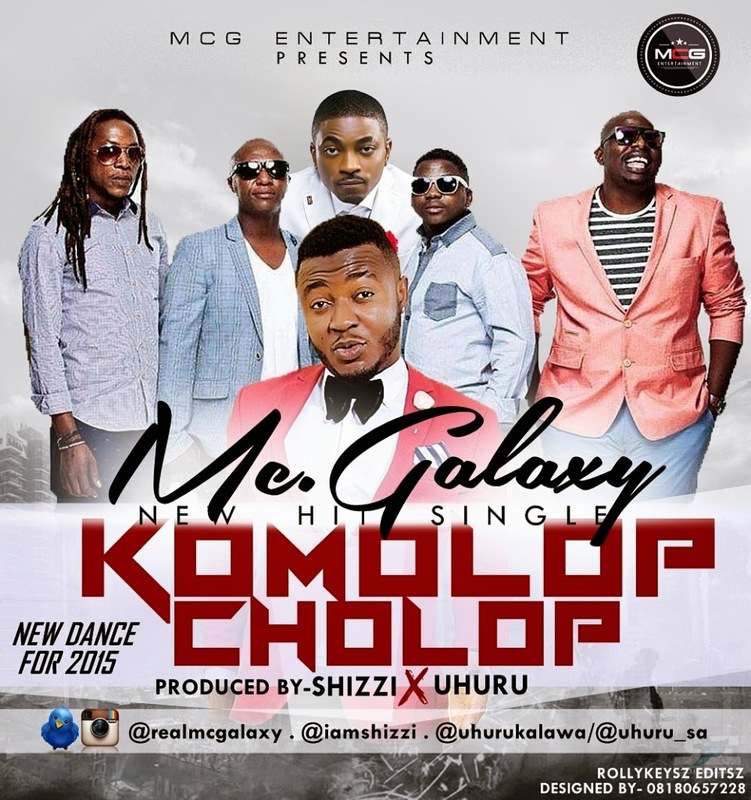 Mc Galaxy has created another mad dance step for this song called ‘Komolop Cholop‘ which will be released in a few days. The meaning of “Komolop Cholop” means “Get Up & do the Cholop“. Its no secret that the star is a mad dancer and has created some of the most popular dance steps for artists from Sekem to Kukere dance to Skelewu to Sanko and many more. Enjoy the audio while we wait for the New Dance video that will take over 2015. 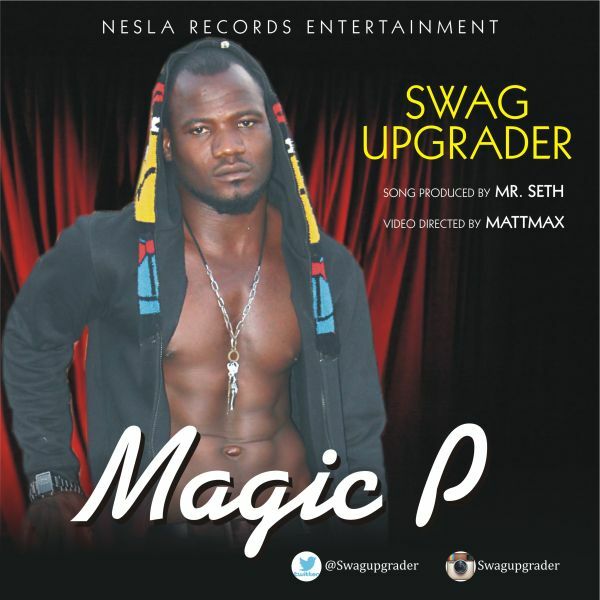 Currently making waves in Abuja, Jos and environ, hip-hop hit song “Swag Upgrader” by Magic P just got a visual. The top notch video directed by the popular music video director, Mattmax is set to rock satellite and Terrestrial TV channels. Freshly signed to Nesla Records Entertainment, Magic P dropped the hot single, “Swag Upgrader” few months ago and it is currently enjoying heavy airplay and rotation in the North.